All I have to say regarding this is that they’re bloody hard to remove from the dash, and that with 20/20 hindsight, I would strongly suggest people have this done by their dealer. That way if anything gets broken, they pay for it, not you. If you do install these yourself, you’ll note a small notch in the centre finger grip that you use to open and close the vent. With the vent in its open position, you will install the vent bezel with that notch facing straight up (12 o’clock position). 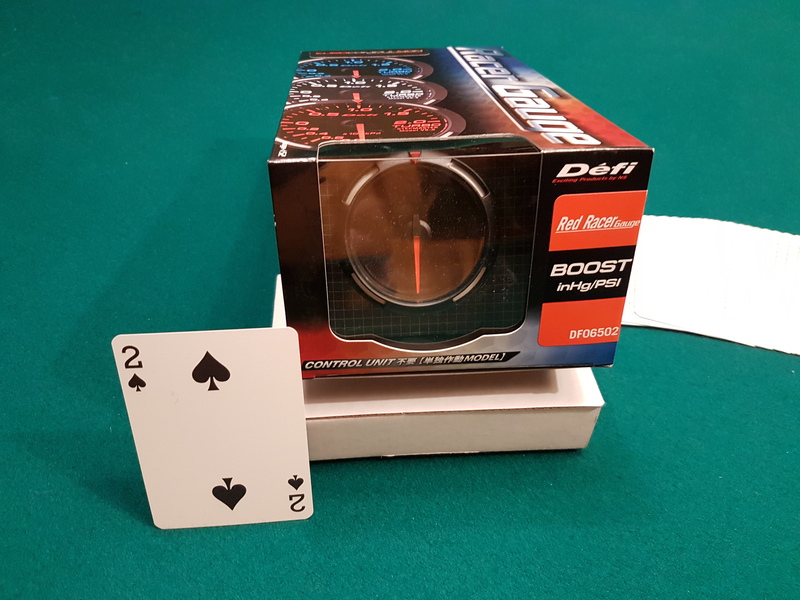 I’m also incorporating a Defi boost gauge in the center vent, which requires an aluminum pod mount ring (Cravenspeed # CS-AA259), both available at Eurocompulsion, in the empty dash vent hole first, before adding the [new] vent bezel onto that. The Defi gauge is a snug fit inside the pod mount, so the two included pads can’t be used to hold it in place. One key install consideration. The replacement bezel to the right of the steering wheel fits inside the larger pod mount ring, and the pod mount ring fits inside the opening in the dash. I assembled the bezel and pod mount together first, and then inserted the pod mount into the dash. Not a good scenario because it’s a REALLY tight fit. Since the large pod mount ring is split, with a gap at the bottom, if I were to do this again, I would recommend a different sequence. By squeezing the sides of the pod mount ring, you can much more easily fit it inside the opening in the dash. Then, once in place, you insert the bezel component in the pod mount ring. As you can see by these two photos, they fit together really well. If a person used their existing silver bezel assembly, you’d still see a black gloss pod mount ring next to the flatter black dash. This is the case with my red bezel covers as well. BUT, if a person installed the black gloss bezel covers, that black would match exactly with the black gloss pod mount ring. If the illumination wire (white) is connected to +12 volts, your gauge may prove to be too bright at night time, but since the illumination circuit of the vehicle is controlled via the ground circuit, as shown in the schematic below, you’ll probably need to provide your own dimmer control for the gauge, along the lines of this item. Nice the size comparison with the cards Cal! Well, I spent the better part of Friday morning at my local dealership while one of the mechanics tackled this for me. There was no way I was going to muck around trying to run a cable through my firewall into the cockpit, and aside from my general level of mechanical ineptitude, a younger body is much more able to crawl around on their knees to do the wiring job. I’ll send Dan the install photos later today so he can post them here, but I think the end result looks pretty good…. and performs fabulously… with one exception. When you start the engine, the boost gauge does this little start up self check, which includes pulsing back and forth between two brightness levels. This is the part I’m still working with my dealership service team on, as well as with EuroCompulsion where I purchased the pod mount and boost gauge. One of the wires is what controls the brightness level, and I’m attempting to figure out how to have it respond the same as my OEM dash instruments. In other words, dim display at night, and bright during the daytime. So far, we’ve only been able to get it to stay at one brightness level or the other. As for the gauge itself, you can order it in one of three LED display colours (yes, my Queen’s English spelling again… lol). Even though the gauge is manufactured in Japan, it comes in good old red, white and blue. They’re not interchangeable. 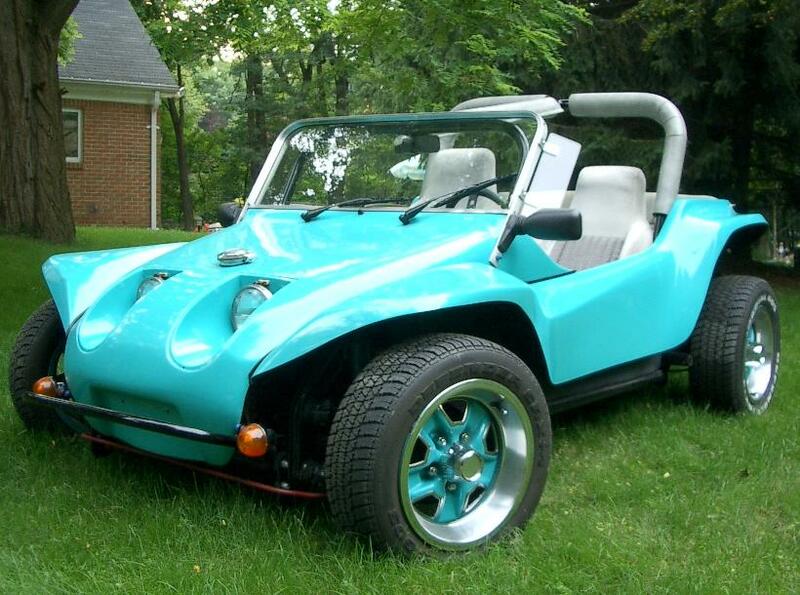 You pick one of the three gauge colours and that’s what you get. Permanently. 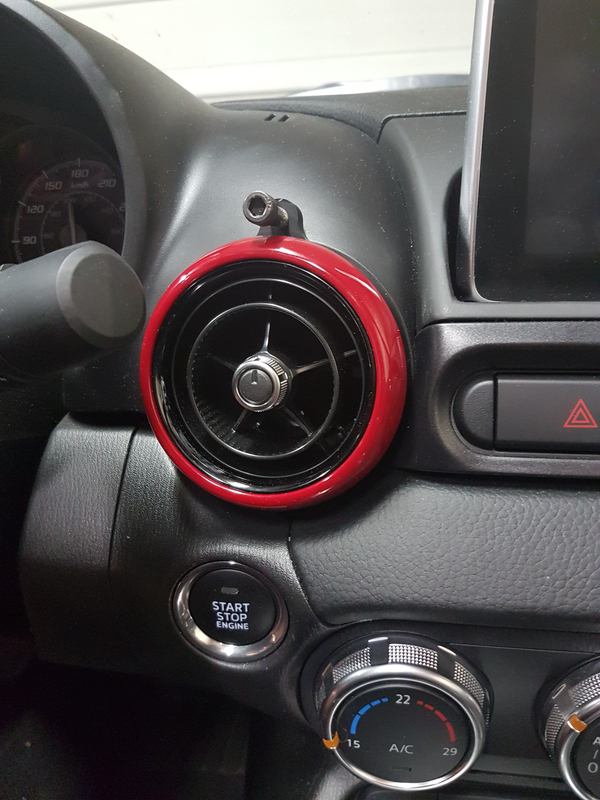 I went with red because I thought it was a good match for the Abarth tach, and my new red bezels. 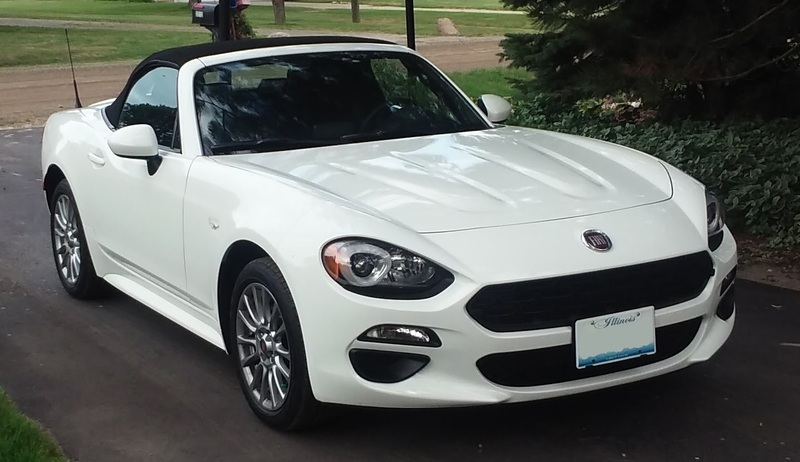 Off on a tangent, but I think I’m having flashbacks to my 2013 500 Abarth. 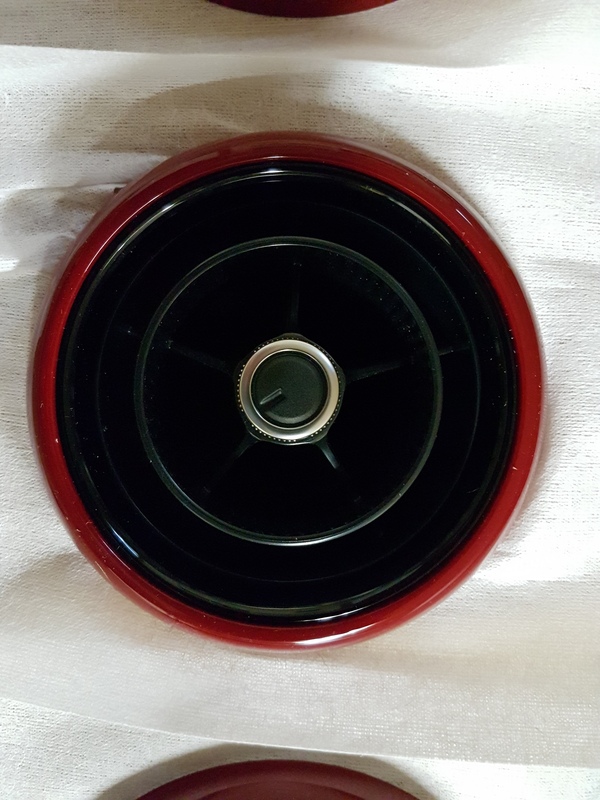 It was black, with red mirror caps and body striping. I can get red mirror caps for the Spider, but I’m not quite sure if I want to go that far with things yet. 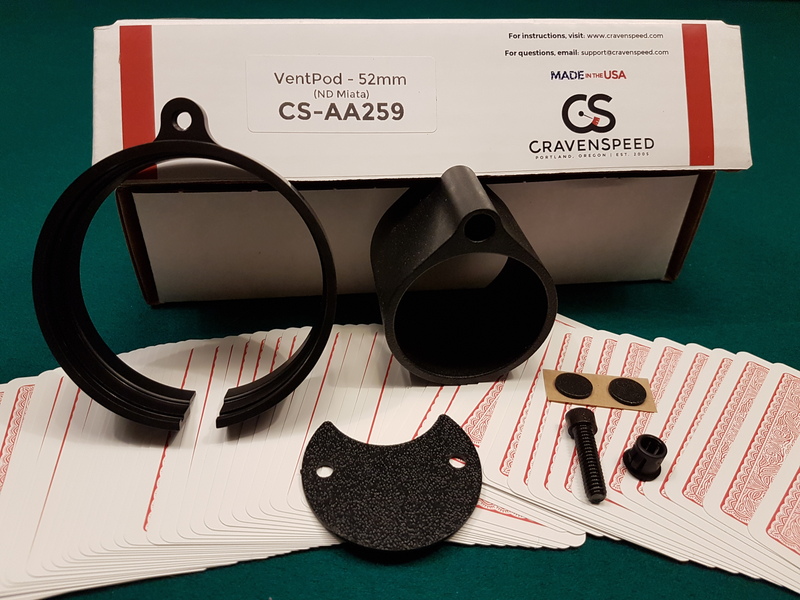 Back on topic, there is one thing you will need to purchase before you install the gauge, and that’s a pack of 1/4″ slit cable cover. It doesn’t come with the kit. 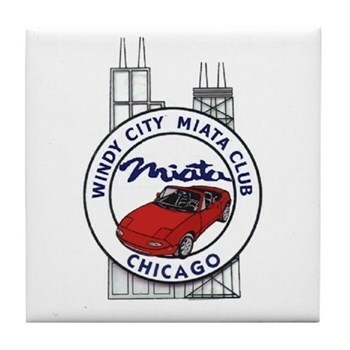 I’d suggest getting a pack of 25′, as it’s nice to use to cover the cabling and tubing in the engine bay as well. Keeps everything looking neat and tidy, and adds another layer of protection to some vital components. I will post an update with details on the illumination electrical tie-in once I have a solution figured out. Cal submitted 2 more photos today, and I’ve added them. Yesterday, I added some thoughts I had on the night-time illumination of the gauge, as well. Thanks for providing a recommendation on how to manage the brightness levels Dan. 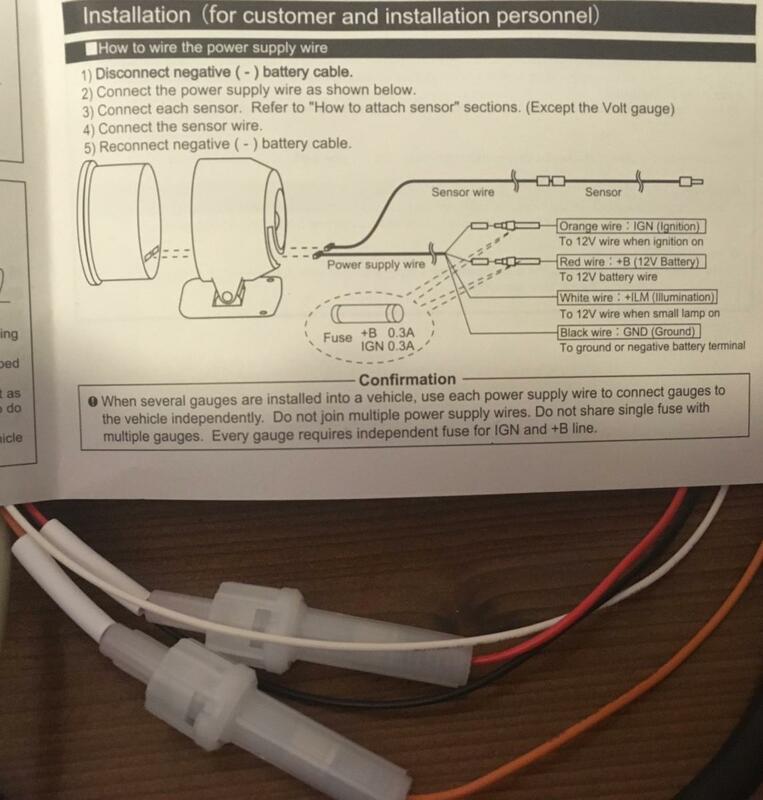 I’m taking the install guide for the Defi gauge to a local Mazda shop tomorrow and pick their mechanics’ brains to see if they have any ideas on how to manage the brightness via the instrument cluster lighting controls. If they don’t have any suggestions, then I have to make a decision… is the high illumination level acceptable for night driving, or do I try to find a good spot to mount a dimmer control? 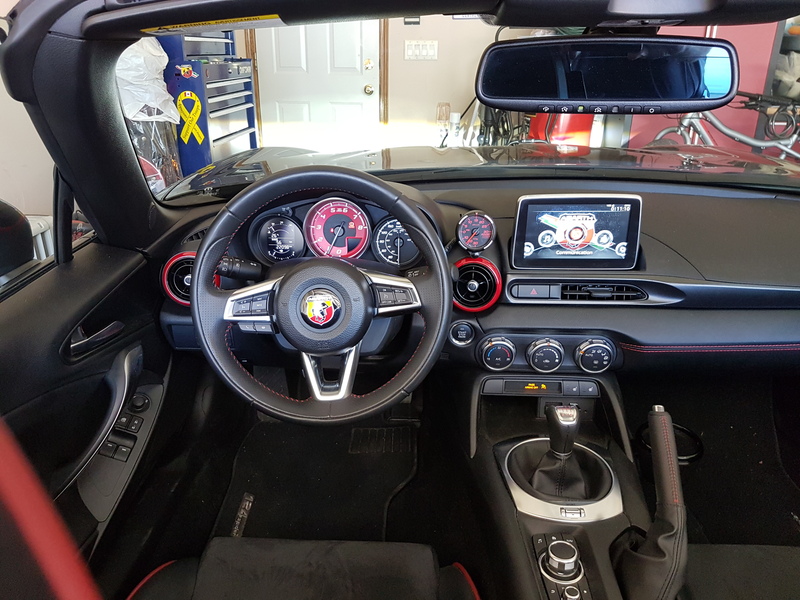 What I will say is that it’s nice to have a boost gauge again, and that this unit is much more responsive than the one that came stock in the 500 Abarth. 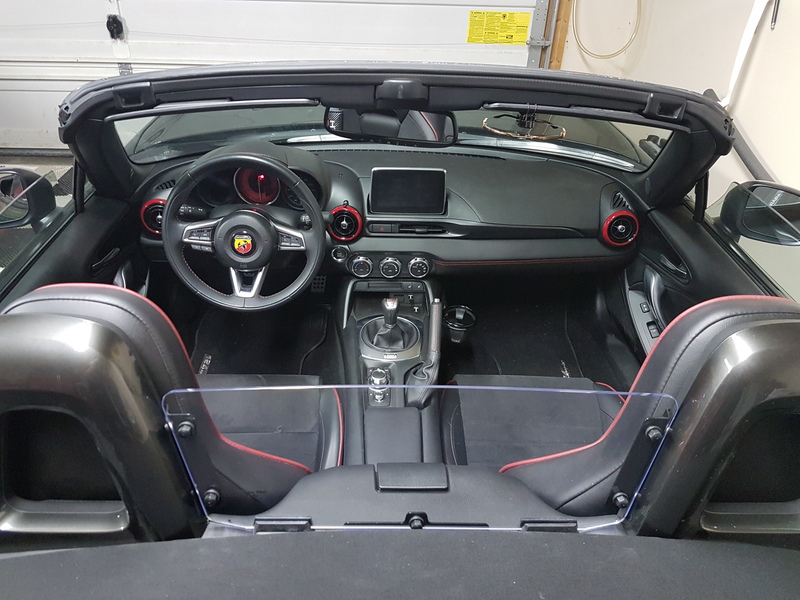 As for my second Abarth, it’s pretty slow off the line as it’s powered by 1CP (Cal Power), and the only performance boost comes from espresso shots. 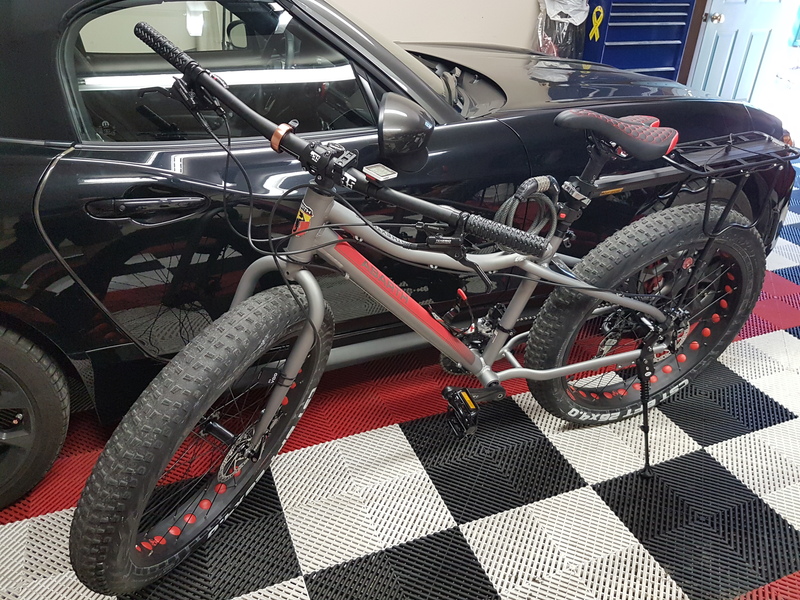 Joking aside, it’s an Abarth branded fatbike manufactured by Compagnia Ducale of Milano, under license to Fiat. Latest (and final) comments on this. I found the low light setting on the gauge to be too low, such that if you had the top down, you physically couldn’t read the gauge. So I took the easy way out and opted to leave it set to the bright display mode. Since the one I installed was red (you can also choose from white or blue), I have found that even though it’s bright, it’s not a problem at nighttime (for me). I strongly suspect that the blue, and for sure white, versions of this gauge would be blindingly bright at nighttime without the installation of some sort of dimmer control such as Dan as shown at the end of this post. 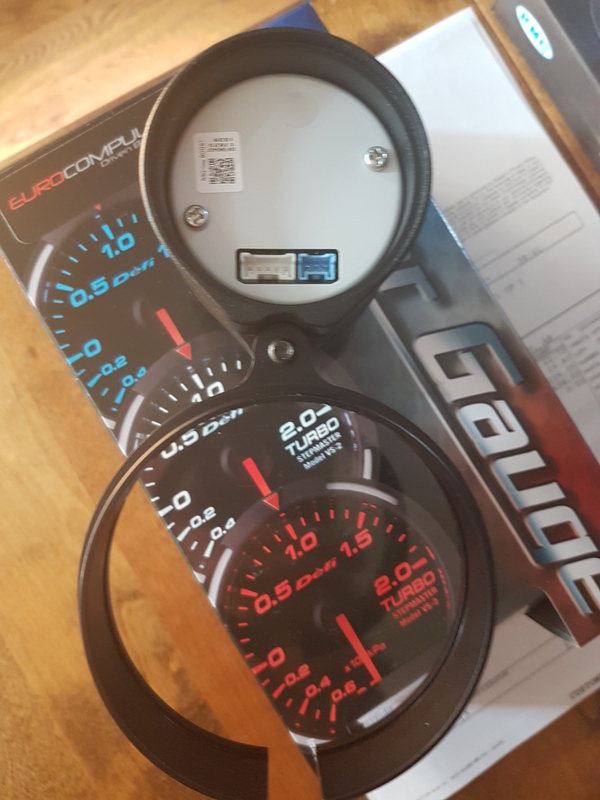 As a related aside, EuroCompulsion now sells a different boost gauge (and temperature gauge, if desired) that are not only much simpler to install, but also able to be adjusted for brightness level in a dynamic fashion, as the driver desires. Yep, that is why all of the gauges in airplane cockpits are illuminated red – easy-on-the-eyes viewing at nighttime.